Our Piedmont practice is staffed by a team of highly-experienced dentists who are committed to giving everyone in Lincoln a smile they are always proud to show off. Each one has attended some of the finest educational institutions in all of dentistry and continue to refine their skill set by taking continuing education courses every year. When you come to Williamsburg Dental Piedmont, you can trust that your smile is always in good hands. Below, you can get to know our fantastic doctors a little better. 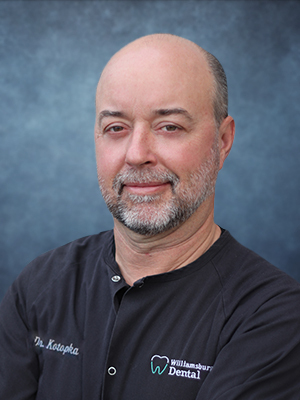 Dr. Kotopka is a proud Nebraska educated dentist, having graduated from Lincoln Southeast, University of Nebraska, and UNMC College of Dentistry. After Dental School he spent three years as a captain in the US Air Force participating in an Advanced Education in General Dentistry residency that took his family to Langley AFB in Virginia and Brooks AFB in San Antonio. The Kotopka’s returned to the good life in Nebraska in 1997 and Dr. Mike has practiced in the same office ever since. He and his wife Ann have seven children who keep them very busy. The oldest is currently studying for his PhD at Stanford and the youngest has just recently begun school. When he’s not seeing patients, Dr. Mike can be found on the Lincoln trail system running or biking. He recently achieved his goal of running a half marathon. He also enjoys golfing and reading. Dr. LeBoeuf’s connection to the world of dentistry actually started at a very young age – she was born without a front tooth! All of the dental treatment she received to correct that issue sparked a lifelong interest in this interesting and fulfilling field. After attending Pittsburgh State University, she completed her dental education at Creighton School of Dentistry. She is also certified in NOMAD X-rays and Invisalign® treatment. Her favorite part of this job is being able to meet so many new people, and she can’t wait to start serving patients at Williamsburg Dental. 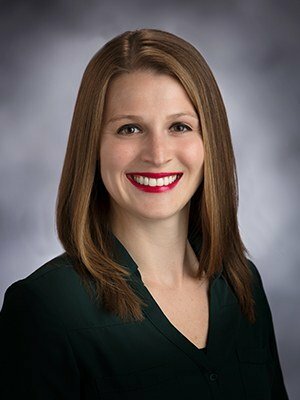 Originally from the small town of Frontenac, KS, Dr. LeBoeuf is very close with her family and loves spending free time with them whenever she gets the chance. She married her husband Johnny on New Year’s Eve in 2016, and they have a sweet cat together named Obi Wan. Other hobbies include being outdoors, riding bikes, camping, fishing, going to concerts, and occasionally tie dying!